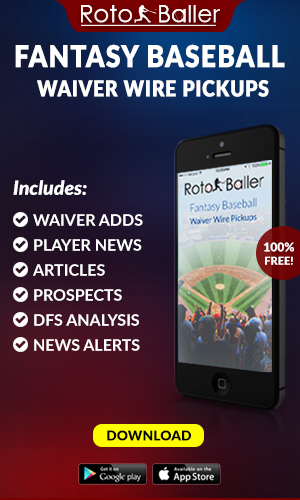 We are thrilled to announce that Marc Hulet has recently joined the RotoBaller team! Marc is also the longest-serving, active writer at FanGraphs. 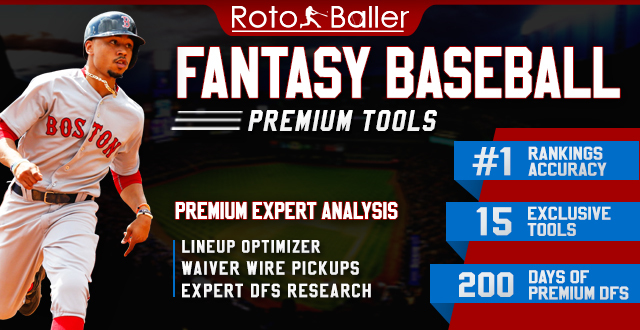 For 10+ years he has been focused on MLB prospects and their fantasy baseball impacts. Follow along all season! 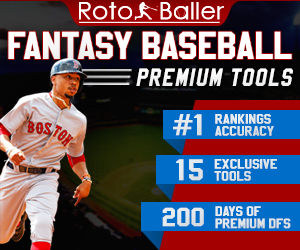 This week I’ve kicked off my tenure at RotoBaller with a two-part series looking at the four hitters and four pitchers that will help your fantasy baseball teams in 2019 more than you expect. These are not just names to know in dynasty leagues. Each piece will highlight one player who faces a little more adversity than the others and their inclusions might surprise you. Let's see which pitching prospects you should be monitoring in 2019 redraft leagues. Early on, all eyes have been on Luiz Gohara and Mike Soroka as potential key contributors to the Braves starting rotation in 2019. Wright, who received a brief taste of MLB action last year, is often overlooked. There appears to be two near-locks for the rotation right now in Sean Newcomb and Julio Teheran. Everyone else is hurt (Kevin Gausman and Mike Foltynewicz) or inconsistent (Touki Toussaint). With a big, strong frame this young hurler could develop into a workhorse. He threw a combined 144 innings over three levels in 2018 so he should be good for about 160-170 innings in 2019. The fifth-overall selection in the 2017 amateur draft, Wright has the pedigree as a top college hurler, and pro ball proved to be little challenge for him early on as he zoomed through the minors. He has a four-pitch mix which includes a four-seam fastball that can tickle the upper 90s. He’ll utilize all four offerings to keep hitters off-balance and throw his slider for the strikeout. Wright, 23, has also produced an above-average ground-ball rate throughout the minors, and that will serve him well in the fly-ball era of grip-and-rip hitters. His biggest competition right now other than Toussaint appears to be Max Fried and/or Bryse Wilson. Odds are pretty good that if he continues to throw well, Wright will be throwing key innings for the Braves sooner rather than later. 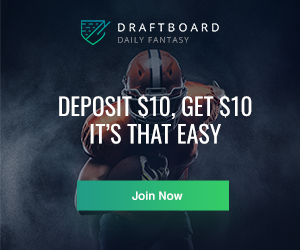 Paddack has been a popular player in dynasty/keeper leagues and why not? He’s produced outstanding minor league numbers when healthy, is near-MLB-ready, and he has the stuff to be a mid-rotation arm or better. As of the writing of this piece, the young hurler had produced outstanding numbers in spring training (yes, I know it’s just spring training) with 14 strikeouts and just two walks in 8.2 innings. The innings total also represents the third-highest total of innings behind Matt Strahm and Joey Lucchesi so the club is clearly taking a long look at the rookie hurler as it looks to field a competitive team and capitalize on the acquisition of Manny Machado. And the current in-house options for the rotation are both modest and unproven after Lucchesi. The key ingredient in Paddack’s recipe for success is a plus-plus changeup that he mixes exceptionally well with his low-to-mid-90s heater. His breaking ball is a distant third offering and increased success with the pitch could turn him into a top-of-the-rotation stud. The right-hander has a great pitcher’s frame and his 6-4 frame creates downward plane, leading to above-average ground-ball rates. Paddack, 23, has an outstanding feel for pitching which shows up in above-average command and control. The biggest question mark with Paddack will be the number of innings he’ll be able to contribute in 2019. After returning from Tommy John surgery, which caused him to miss all of 2017, he threw just 90 innings last year. A reasonable bump in innings would put him around 120-130 innings as last year’s total represented a career high. That means it makes sense if the Padres feel he’s MLB ready to have him use his bullets at the MLB level rather than start out in the minors and pitch more or less meaningless innings there. The Padres saw a huge upgrade occur in the off-season when they won the Manny Machado sweepstakes but that late “get” also meant they didn’t have time to build up the team around him. The club made few improvements to pitching staff over the winter which means the club will hope to contend while utilizing a rag-tag group of mostly unproven arms in the starting rotation. That will leave the door wide open for young, promising prospects like Allen and Chris Paddack (whom you read about above). Allen doesn’t have the highest ceiling around but he has the makings of a No. 3/4 starter type in San Diego. The southpaw tends to induce a lot of fly balls but that will be less of an issue in a bigger park at home with the Padres (The park favors left-handed hitters over righties) and he’s got a swing-and-miss offering when his changeup is playing off his fastball. Allen also has a durable frame and has been healthy over the past two seasons, racking up 125 and 148.2 innings over the past two years which means he won’t have to be treated with kids’ gloves and should be good for about 170-180 innings in 2019 between triple-A and (hopefully) the Majors. 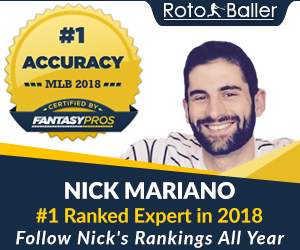 This last point is often overlooked by fantasy managers who often watch in dismay as talented arms with limited innings in previous years are shut down in late August and September. Dunning is often overlooked — especially in the fire-balling White Sox system — because he possesses just an average fastball in terms of velocity. It’s the secondary offerings, though, that are the keys to his success and have seen him quietly post rates of better than 10 K/9 (strikeouts per nine innings) at every level each of the past two seasons. His heater actually plays up because he has a great feel for pitching and shows above-average command and control most of the time. Dunning has also consistently kept balls in play on the ground more often than in the air, which again is a key skill and helpful in leagues where you’re penalized when pitchers allow home runs. The one red flag for Dunning is that he missed a couple of months at the end of 2018 due to an elbow strain. The good news is that he’s throwing in minor league spring training with no restrictions. He’s ticketed to return to Double-A to open the year but could be a quick promotion to Triple-A. Last year, he threw well at Double-A in 62 innings by posting a 2.76 ERA and striking out 69. The White Sox rotation is far from formidable meaning there could be lots of opportunity for movement at both the Triple-A and the MLB levels. The key competitors in the minors include Michael Kopech, returning from Tommy John surgery, and Dylan Cease, another pitcher with half a season of experience in Double-A. Jimmy Lambert, also ticketed for Double-A is another deep sleeper who has been throwing well this spring.